offers instruction in both the Western and English disciplines of riding. 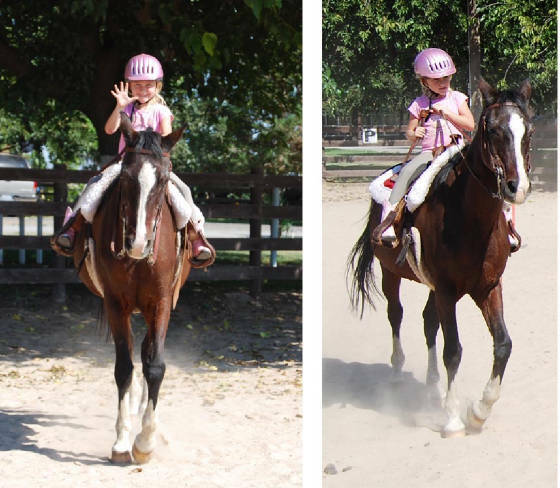 Having a variety of well trained lesson horses, she is able to specialize in meeting the needs of non-horseowners and beginning riders. Tia has more than 25 years of professional experience teaching horsemanship to both youth and adult students. 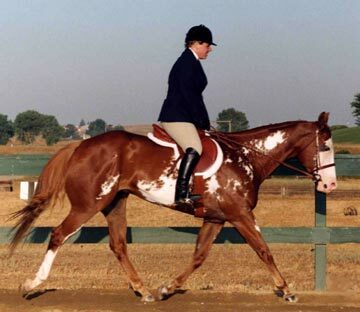 Her lifetime experience of horsemanship and ranch management, coupled with her formal training in riding, gives Tia the unique qualifications to teach the novice horse enthusiast, not only to ride, but to become an accomplished "horse person". Tia has over 30 years of experience in showing horses and is continually updating her knowledge of current show trends. Enabling her to fully prepare those students with goals of horse show competition. Tia has attended and passed in the top 5%, the California State Horseman's Association Judging clinics (required of all C.S.H.A.judges) in western, hunt seat, and saddle seat. She has a BA and Masters Degrees from CSUS. She is continually updating her knowledge of training and instruction through courses, clinics and seminars. Some were taught by: Tom Dorance, Charles de Kunfy, Don Burt and George Morris. Tia says "It is important for riders to develop both knowledge, and a balanced seat to achieve a solid foundation upon which both the horse and rider may excell". Sessions are booked on the hour. Lessons are payable at the beginning of each session. Package rates payable in advance. Full (5days wk.) $500.00 mo. Rates do not include board, Farrier or Vet. Extras billed on the first of the next month. SERVICES Please see Ranch rate page. Please call for complete information on training and lesson booking.